How do your portfolios stack up against the gurus’? Every quarter we bring you updated versions of portfolios by investing gurus like Warren Buffet, David Einhorn, and Seth Klarman. 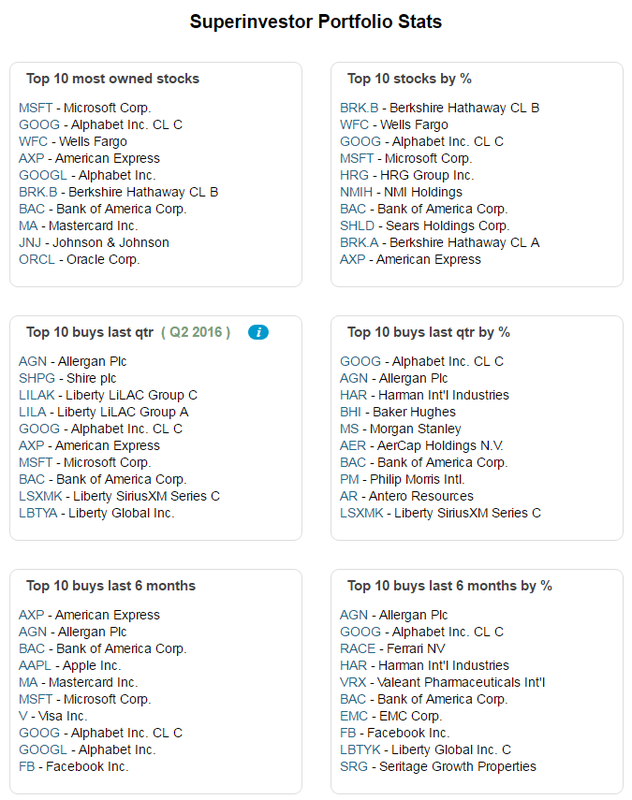 See what these “superinvestors” bought and sold in Q2 2016 (and in past quarters) by downloading their portfolios directly into your Stock Rover account for free. Just head to the Library (via the Start menu) and choose ‘Portfolios’ from the left menu. Then select the portfolios you are interested in, click ‘Import,’ and you’re good to go!